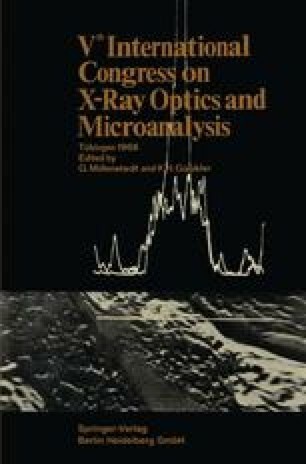 Early X-ray microscopes of the reflection type were beset with geometrical aberrations which seriously limited their resolution. In addition, the problem was clouded by the role of surface defects to which an intolerable amount of non-symmetrical broadening of the image was attributed. Solution of the Kirchhoff diffraction integral shows that diffraction maxima are to be expected on the high angle side of the line image when spherical aberration is present and the magnification is greater than unity. A similar type of diffraction integral analysis leads to the discovery of the figure of an aspherical surface which is represented by a third order polynomial for which the spherical aberration is reduced to a negligible amount. The new figure increases the attainable resolution by an order of magnitude over that of spherical or cylindrical surfaces. A visible-light test of the aspherical figure at normal incidence is suggested by a solution of the diffraction integral for the case of reflection at normal incidence instead of grazing incidence as required for X-rays.